Matt writes: The full line-up for our 21st annual Roger Ebert's Film Festival (a.k.a. 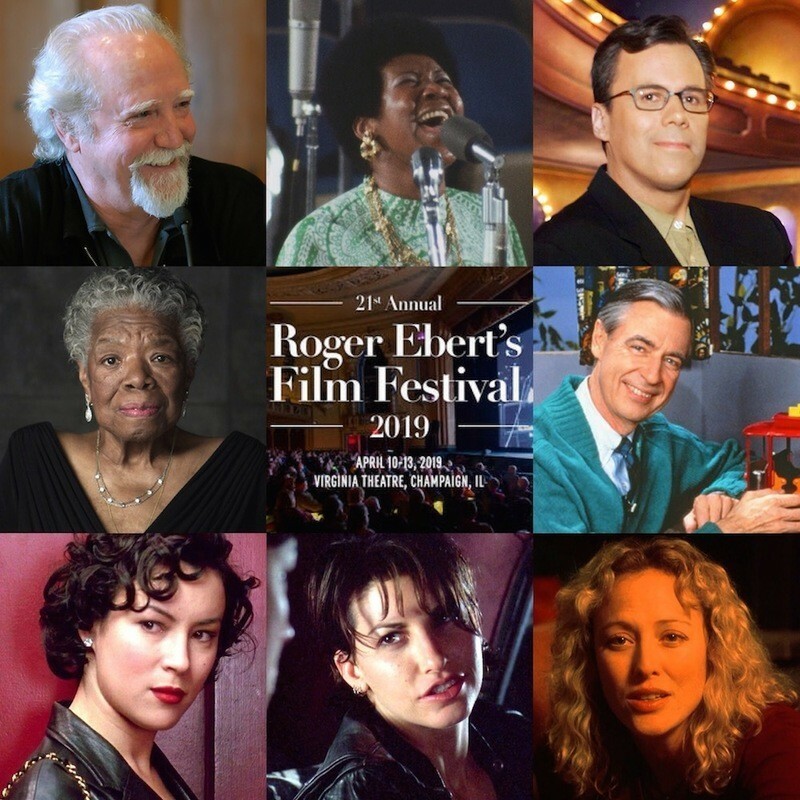 Ebertfest), running Wednesday, April 10th, through Saturday, April 13th, is now available on RogerEbert.com. We are dedicating the festival this year to the memory of one of our favorite actors and frequent guests, Scott Wilson, whose great 1984 film "A Year of the Quiet Sun" is among the selections. We also look forward to celebrating the longtime on-air partnership Roger had with Richard Roeper, who will be on hand for two special screenings, as well as the legacy of "Rachel Getting Married" director Jonathan Demme. Click here to find the complete schedule and all the info you'll need on how to purchase tickets. We look forward to seeing you there! Once Upon a Time in Hollywood (2019). Written and directed by Quentin Tarantino. Starring Margot Robbie, Leonardo DiCaprio, Brad Pitt. Synopsis: A faded television actor and his stunt double strive to achieve fame and success in the film industry during the final years of Hollywood's Golden Age in 1969 Los Angeles. Opens in US theaters on July 26th, 2019. Mary Magdalene (2019). Directed by Garth Davis. Written by Helen Edmundson, Philippa Goslett. Starring Rooney Mara, Joaquin Phoenix, Chiwetel Ejiofor. Synopsis: The story of Mary Magdalene. Opens in US theaters on April 12th, 2019. The Last Black Man in San Francisco (2019). Directed by Joe Talbot. Written by Joe Talbot and Rob Richert. Starring Jimmie Fails, Jonathan Majors, Danny Glover. Synopsis: A young man searches for home in the changing city that seems to have left him behind. Opens in US theaters on June 14th, 2019. Savage Youth (2019). Written and directed by Michael Curtis Johnson. Starring Grace Victoria Cox, Tequan Richmond, Will Brittain. Synopsis: Six young lives collide in the most horrific and twisted of ways. Based on true events. US release date is TBA. Scary Stories to Tell in the Dark (2019). Directed by André Øvredal. Written by Guillermo del Toro, John August, Marcus Dunstan, Patrick Melton, Dan Hageman and Kevin Hageman (based on the book by Alvin Schwartz). Starring Zoe Margaret Colletti, Michael Garza, Austin Zajur. Synopsis: A group of teens face their fears in order to save their lives. Opens in US theaters on August 9th, 2019. The Silence (2019). Directed by John R. Leonetti. Written by Carey Van Dyke and Shane Van Dyke (based on the novel by Tim Lebbon). Starring Kiernan Shipka, Stanley Tucci, Miranda Otto. Synopsis: The story of a family struggling to survive in a world terrorized by a deadly, primeval species who have bred for decades in the pitch darkness of a vast underground cave system, hunting only with their acute hearing. Debuts on Netflix on April 12th, 2019. Christ Stopped at Eboli (1979), re-release. Directed by Francesco Rosi. Written by Francesco Rosi, Tonino Guerra and Raffaele La Capria (based on the novel by Carlo Levi). Starring Gian Maria Volontè, Paolo Bonacelli, Alain Cuny. Synopsis: In the fascist Italy of 1935, a painter trained as a doctor is exiled to a remote region near Eboli. Over time, he learns to appreciate the beauty and wisdom of the peasants, and to overcome his isolation. US release date is TBA. Grass (2019). Written and directed by Sang-soo Hong. Starring Min-hee Kim, Joobong Kee. Synopsis: A guest in a small café prefers to observe but not interact with the other guests herself. US release date is TBA. The Tomorrow Man (2019). Written and directed by Noble Jones. Starring John Lithgow, Blythe Danner, Derek Cecil. Synopsis: Ed Hemsler spends his life preparing for a disaster that may never come. Ronnie Meisner spends her life shopping for things she may never use. In a small. These two people will try to find love. Debuts on Netflix on May 22nd, 2019. The Professor and the Madman (2019). Directed by Farhad Safinia. Written by Farhad Safinia, John Boorman and Todd Komarnicki (based on the book by Simon Winchester). Starring Natalie Dormer, Mel Gibson, Sean Penn. Synopsis: Professor James Murray begins work compiling words for the first edition of the Oxford English Dictionary in the mid 19th century, and receives over 10,000 entries from a patient at Broadmoor Criminal Lunatic Asylum, Dr. William Minor. Opens in US theaters on May 10th, 2019. The Perfect Date (2019). Directed by Chris Nelson. Written by Steve Bloom and Randall Green. Starring Laura Marano, Noah Centineo, Camila Mendes. Synopsis: To save up for college, Brooks Rattigan creates an app where anyone can pay him to play the perfect stand-in boyfriend for any occasion. Debuts on Netflix on April 12th, 2019. Tell It To the Bees (2019). Directed by Annabel Jankel. Written by Henrietta Ashworth and Jessica Ashworth (based on the novel by Fiona Shaw). Starring Anna Paquin, Holliday Grainger, Gregor Selkirk. Synopsis: In 1950s small town Britain, a doctor develops a relationship with her young patient's mother. Opens in US theaters on May 3rd, 2019. Body at Brighton Rock (2019). Written and directed by Roxanne Benjamin. Starring Karina Fontes, Casey Adams, Emily Althaus. Synopsis: A park ranger spends the night guarding a potential crime scene on a remote mountain trail. Opens in US theaters on April 26th, 2019. Dora and the Lost City of Gold (2019). Directed by James Bobin. Written by Matthew Robinson and Nicholas Stoller (based on the series created by Chris Gifford, Valerie Walsh and Eric Weiner). Starring Isabela Moner, Eva Longoria, Temuera Morrison. Synopsis: Dora, a teenage explorer, leads her friends on an adventure to save her parents and solve the mystery behind a lost city of gold. Opens in US theaters on August 2nd, 2019. Annabelle Comes Home (2019). Written and directed by Gary Dauberman. Starring Emily Brobst, Patrick Wilson, Mckenna Grace. Synopsis: The third film in the franchise about a super-creepy doll. Opens in US theaters on June 28th, 2019. Brightburn (2019). Directed by David Yarovesky. Written by Brian Gunn and Mark Gunn. Starring Elizabeth Banks, David Denman, Matt Jones. Synopsis: What if a child from another world crash-landed on Earth, but instead of becoming a hero to mankind, he proved to be something far more sinister? Opens in US theaters on May 24th, 2019. El Chicano (2019). Directed by Ben Hernandez Bray. Written by Ben Hernandez Bray and Joe Carnahan. Starring Logan Arevalo, Jose Pablo Cantillo, David Castañeda. Synopsis: A pair of twin brothers from East L.A. choose to live their lives differently and end up on opposite sides of the law. Opens in US theaters on May 3rd, 2019. Unicorn Store (2019). Directed by Brie Larson. Written by Samantha McIntyre. Starring Brie Larson, Samuel L. Jackson, Bradley Whitford. Synopsis: A woman named Kit receives a mysterious invitation that would fulfill her childhood dreams. Debuts on Netflix on April 5th, 2019. Matt writes: One of Roger's most cherished filmmakers, Agnès Varda, passed away last Friday at age 90, leaving behind one of the most revered legacies in the history of cinema. In addition to reading Dan Callahan's obituary, make sure to read our edition of Roger's Favorites detailing the critic's coverage of Varda's career as well as his wonderful 2009 tribute, "Saint Agnès of Montparnasse." 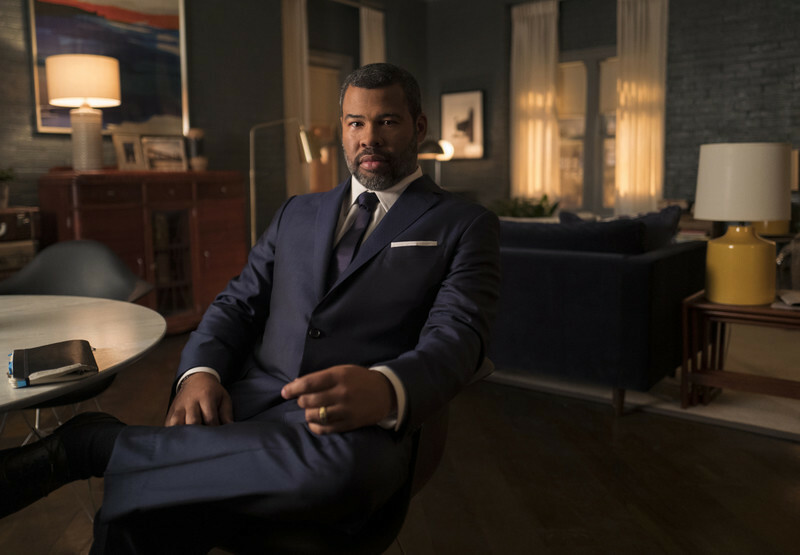 Matt writes: Jordan Peele's new version of "The Twilight Zone," which premiered yesterday on CBS All Access, is on par with Rod Serling's landmark original series, according to Brian Tallerico's review. Tallerico also recommends five episodes of Serling's show to watch after seeing Peele's latest hit thriller, "Us," now in theaters. Ride in the Whirlwind (1966). Directed by Monte Hellman. Written by Jack Nicholson. Starring Jack Nicholson, Cameron Mitchell, Millie Perkins. Synopsis: Three cowboys, mistaken for members of an outlaw gang, are relentlessly pursued by a posse. Watch "Ride in the Whirlwind"
The Trip (1967). Directed by Roger Corman. Written by Jack Nicholson. Starring Peter Fonda, Susan Strasberg, Bruce Dern. Synopsis: After his wife leaves him, a disillusioned director dives into the drug scene, trying anything his friend suggests. The Passenger (1975). Directed by Michelangelo Antonioni. Written by Michelangelo Antonioni, Mark Peploe and Enrico Sannia. Starring Jack Nicholson, Maria Schneider, Jenny Runacre. Synopsis: A frustrated war correspondent, unable to find the war he's been asked to cover, takes the risky path of coopting the identity of a dead arms dealer acquaintance.